No. 9, Jalan Tiga, Off Jalan Menu, Batu 5 1/4, 41050 Klang, Selangor, Malaysia. We provide service to client within 24 hour on site to solve client problem. 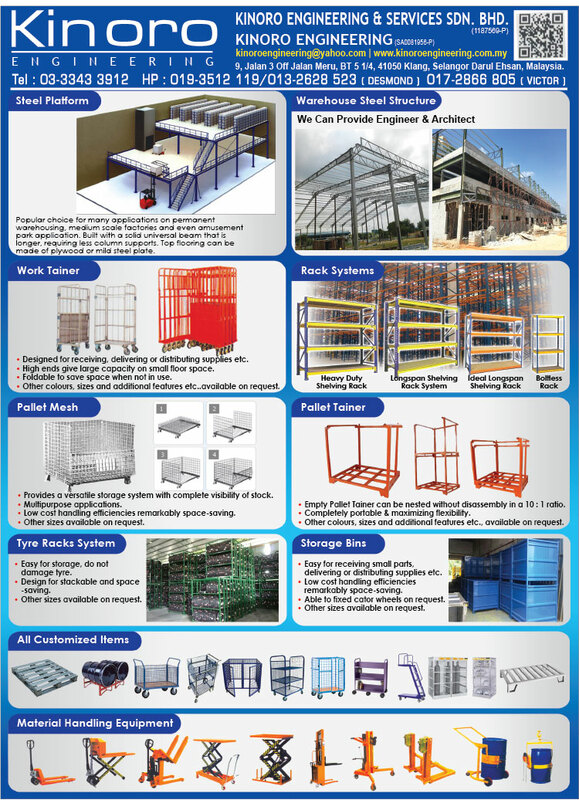 Our products are hand pallet truck, manual stacker, semi auto stacker, drum handling equipment, semi auto stacker, fully powered stacker, trolley, metal hand truck, opp tape, stretch film.